There are five types of loons in North America and the Common Loon is the most numerous and widespread among their species. The Pacific Loon and the Arctic Loon are very similar looking birds with the Arctic Loon being the larger of the two. The Yellow-billed Loon is the largest member of the loon family and inhabits the central Arctic to the tip of Alaska. 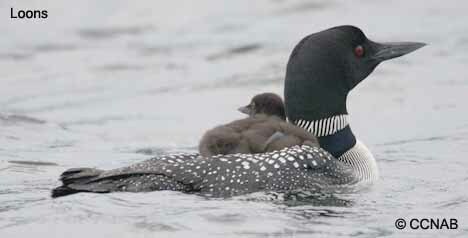 The Red-throated Loon can be found in the northern areas of North America and is the smallest of the group.